Chip Keys successfully protect cars from theft in two ways: forcing the ignition cylinder won’t start the car, and the keys are difficult to duplicate. 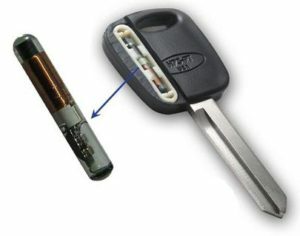 This is why chip keys are popular in modern cars and help decrease car theft. Many people who have transponder keys are not aware of the fact because the circuit is hidden inside the plastic head of the key. On the other hand, General Motors produced what are known as VATS keys (Vehicle Anti-Theft System) during the 1990s, which are often erroneously believed to be transponders but actually use a simple resistor, which is visible in the blade of the key. If the value of the resistor is wrong, or the key is a normal key without a resistor, the circuit of the car’s electrical system will not allow the engine to be started. Serrurier Montreal provide car ignition installation, repair, and replacement services. Our experienced and professional auto locksmith technicians are available 24/7 throughout the year. We have an average 25 minute response services at competitive rates in Montreal area. Our technicians and experts have the latest available tools to provide detailed and quick ignition services.